Aryeh grew up in Teaneck, New Jersey. He earned his BA in Near Eastern and Judaic Studies at Brandeis University and spent two years studying at Yeshivat HaKotel in Israel. He has been teaching Bar and Bat Mitzvah students since 1995, served as a Hebrew school teacher and principal, and has taught Hebrew to adults through the National Jewish Outreach Program. While at YCT, Aryeh interned with Rabbi Yitzchok Adler at Congregation Beth David in West Hartford, Connecticut, with Rabbi Joel Tessler at Beth Sholom Congregation in Potomac, Maryland, and participated in the American Jewish World Service’s rabbinical student delegation to El Salvador. 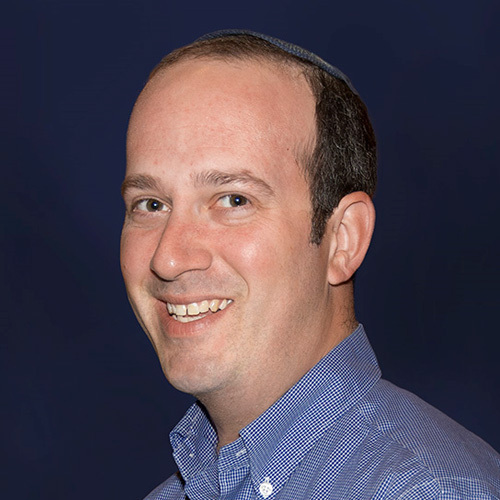 Before making aliyah to Mazkeret Batya, Israel, Aryeh served as the Assistant Rabbi at Congregation Rodfei Sholom, and as Director of Judaic Studies at the Eleanor Kolitz Academy, in San Antonio, Texas. He is now a licensed tour guide in Israel and also does “Virtual Israel Guiding” for schools around the world.